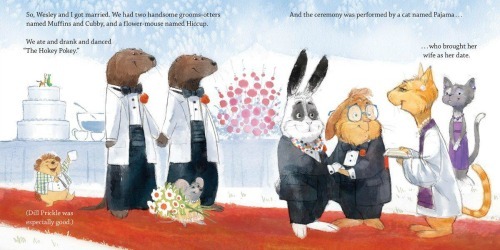 This week’s Canny Resistance Award goes to John Oliver, who deftly stole Mike Pence’s family’s homophobic thunder by, hours before the release of their children’s book profiling their pet rabbit Marlon Bundo’s “Day in the Life of the Vice President,” released his own “Day in the Life of Marlon Bundo” – who is, gasp, gay. Oliver announced the book Sunday night on his Last Week Tonight show after an angry, lengthy look at Pence’s bigoted history, including his long association with the anti-LGBTQ, conversion-therapy-loving wingnuts of Focus On the Family. 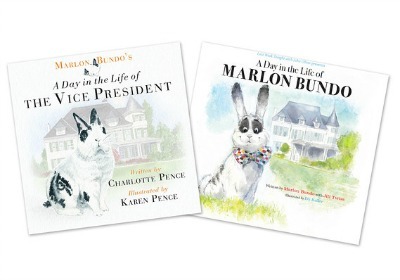 Oliver admitted the only thing he likes about Pence is his rabbit Marlon Bundo – or at least he did until learning that the book created in his honor, which was written by Pence’s daughter Charlotte and illustrated by his wife Karen, was being promoted in partnership with Focus on the Family to underline the notion that family-friendly means not, ewww, gay. “It turns out, in a complete coincidence, we also wrote a book about Mike Pence’s rabbit,” Oliver smilingly told his audience. Written by Last Week Tonight writer Jill Twiss and illustrated by E.G. 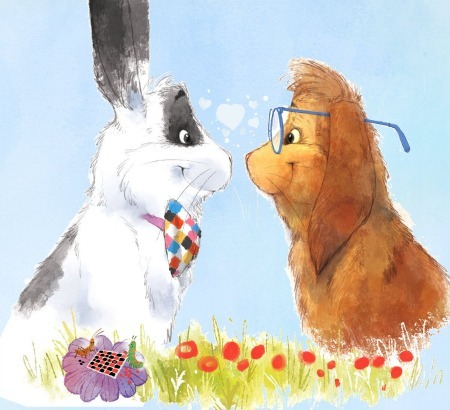 Keller, an artist from Pence’s Indiana, the “better Bundo book” – and both the writing and art are – tells the story of bowtie-wearing Bundo falling in love, as he hops around, with “bunny-beautiful” Wesley: “I was standing still. But being near him made me feel like my heart was still hopping.” The feeling is mutual. After they happily tell their friends they’ve decided to get married, the Pence-haired Stink Bug in charge of all the animals sternly tells them boy bunnies can only marry girl bunnies. “You. Are. Different,” he shouts. “And. Different. Is. Bad.” Marlon and Wesley are crestfallen. Rallying around them, their friends declare everyone is different in their own way and vow to vote the Stink Bug out of office so that love can prevail. This entry was posted on March 22, 2018 by Vox Populi in Art and Cinema, Humor and Satire, Opinion Leaders, Social Justice and tagged Abby Zimet, bias, Day in the Life of Marlon Bundo, E.G. Keller, Jill Twiss, John Oliver, LGBT equality, LGBTQ, Mike Pence, This is the Bunny I Love.